Every year we have a New Year’s Eve party with some close friends and about 40 million children – at least that is what is sounds like from the roar in my house. I love letting my guests leave with something after being in my home. Call it hospitality extraordinaire! Last year I made a New Year’s Eve Tic-Tac printable (updated to reflect 2014). 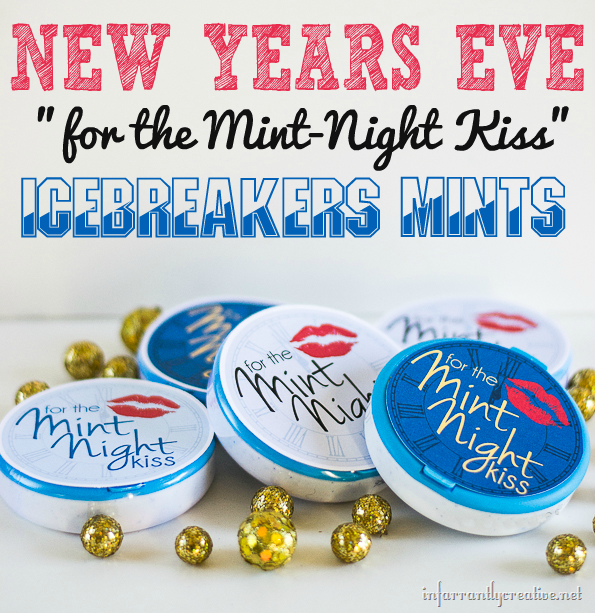 This year we have the same mint-night theme but used some circular Icebreakers containers. Both of them are super cute and are available to print for free for you – cuz I love you like that!